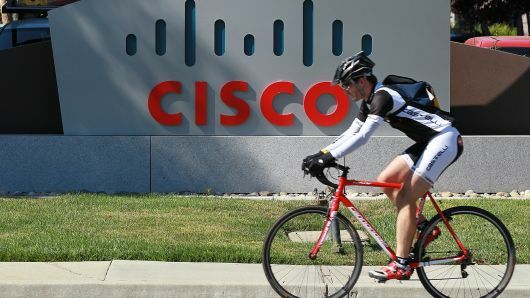 The decline in Cisco Systems shares last week is a good buying opportunity, according to Bank of America Merrill Lynch. The firm reiterated its buy rating for Cisco Systems shares, downplaying the competitive threat from Amazon in the switch business. The company’s stock declined 4.1 percent on Friday after a report by The Information that said Amazon Web Services is considering selling its own network switching devices. Cisco shares rose 1.7 percent Monday. A “white box” product is a custom-built technology offering without a well-known brand name. Liani reiterated his $53 price target for Cisco shares, representing 27 percent upside to Friday’s close. The analyst said corporations tend to avoid so-called “white box” offerings due to lack of service and support. He noted most enterprises also use more than one cloud computing provider, which may limit the market for any AWS-specific switching product. “Enterprise IT professionals would have to undertake a do-it-yourself integration approach when using white box solutions, versus traditional and brite-box switching vendors handling the integration and support of their solutions,” he said.